I came across your blog from a google alert that I have for CML. I am in my 30's and have had CML for just shy of 10 years now and I sometimes look back to the months before I was diagnosed and like you, its easy now to see and understand some of the symptoms I had before diagnosis. I was an active early 20's male and just chocked up my tiredness to lack of sleep, my headaches to stress, my bruises to playing football and other sports. I remember now on a few ocasions an unusual feeling under and around my left ribcage but never thought much about it at the time. It wasn't until I was diagnosed that all of these things started to make sense. I've been pretty lucky in that I was able to get on Gleevec relatively early on in its life and that I responded well with relatively speaking minimal side effects. After reading what your cost is, I also feel quite fortunate that I live in Canada where its is covered by our health system. As a 10 year survivor, all I can say is keep your head up, enjoy the little things in life and make the most of your life. I must say I only hope that your doing better and that after being diagnosed you are able to find some comfort these days and time to wear your dancing shoes with Joe. I'm 43 and have been chalking up everything to that its all down hill after 40yrs so at least that's what anyone older than me has expressed over and over for all my friends are in their 60s at the youngest. But, your very descriptive account of your symptoms which I have all of with a few extras from my terrible health. One really struck a nerve was that of when you not only bruised easily but that even after healed you had a bump under the skin. Im anemic so I already briuse easy but I just said to my significant other that I feel so itchy I made him check my head and all over for some kind of bugs and feel the bump where that bruise just healed. He's so used to hearing me and how sick I am I've been that he's quite immune to being in awe about anything I may say. I'm also far from the one who'll read the internet and swear I have every symptom because I don't want to I'd like to sell some of mine if be it I could and being a 2time survivor of cancer (breast at 24yrs and 3rd stage cervical just last year) I'm not worried by much but odd I typed into Google what could be a lump (hard lump) under the skin where it was recently bruised? And it brought me right to your blog. Its been a week that of all else my biggest concern which not much does with my health anymore is just that of the bump under my skin where the bruise can no longer been seen or any evidence that there was one there. I feel as though the bump is growing and am honestly worried for once. If you don't mind answering me I'd like to know 1st and foremost how your doing these days and what treatments you benefited from and if you can reflect if the bump got bigger and why the drs claimed it formed it would be more than appreciated and I really hope all is well. Oh and also if not to personal how long had you dealt with the symptoms prior to being diagnosed?? I hope this is not coming to you as a repeat of what I'd just tried to send you. I've never responded to a blog nor do I myself know how to blog. I would like to say I really hope that this response finds you doing much better these days and at least able to find the much needed comfort you were seeking. Im 43yrs and am a 2 time survivor of cancer (24 yrs breast and last year 3rd stage cervical) so needless to say not much shocks me with my health and I'm downright tired of seeing drs with me and my significant other it almost becomes like pulling teeth to get me to get going to my appts. I found your blog very informative and very descriptive and would like to let you know I appreciate that. I have all of the symptoms you described that's not alarming to me due to the other ailments I have and deal with can explain all but one that I'm so glad you mentioned Ive been stressing all week about it and I was like OMG when I read it and that is the bump you said you got under a bruise. I'm anemic so its not weird for me to bruise easy but of all else I was saying to my hubby that I'm sooooo itchy and bruising significantly more than my normal and I haven't slept in bed in the last three weeks due to the profuse sweating that's occurred and I'm waking up absolutely soaked. These 3 things are I can say the only differences from my aka normal issues. But the only one that will take me to the Dr is the bump a very hard and quite to big for my liking bump that last week there was a bruise and it seemed as the bruise started to fade this bump started to grow. If you don't mind emailing me cause I wouldn't know how to get back here on my personal email to answer a few questions it would be greatly appreciated. 1st and foremost if you can let me know how your feeling these days and I'm hoping you tell me you've been able to find your quality of life much more enjoyable. Also how long is it that you dealt with your symptoms prior to being diagnosed and how did they treat? ( if not to personal) and lastly did you find that the bump under the skin grew or changed shape in anyway? And if u can recalect how long the bump would be there until disappating if they did. Oh sorry but if your memory finds you why the drs said the bump occurred. I would greatly appreciate it and look forward to hearing from you and hearing your good news. Sure sounds like you have been through the ringer! I am glad that you have found my blog helpful; I started it to keep my friends and family informed of my progress, but seems it has morphed into something more! 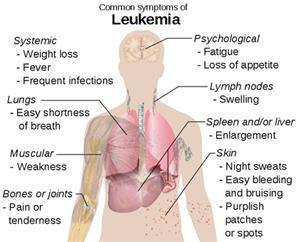 I evidently had leukemia for quite some time before being diagnosed as many symptoms can be explained away; a simple blood test may ease your mind! It has been nearly 5 years and I am still here, so that is a good thing! I see my oncologist every 3 months and have been in treatment the whole time. Life is good and I am glad to be here! Hi Michelle, very interested reading your blog - amazing how we can all put symptoms down to something else, especially as we have to deal with hormonal symptoms at this time of life too. Luckily, so far all I have had to deal with healthwise is hashimotos. Not life threatening but just a bit of a nuisance. However, I came across your blog in exactly the same way as Kelly Bewley. An unexplained large bruise on my leg, which is taking longer than a fortnight to heal, and is leaving a hard lump under the skin. It's probably nothing - but if you are reading this Kelly, please reply and let me know how you got on with your bruise - you posted about 10 days ago so I am very interested. Well, thanks so much for stopping by and reading my blog. You were diagnosed very young. It is inspiring to hear how well you are doing and how long you have been on a very new drug! It's strange how your brain adapts to changes in your body. I suppose that it s a really good lesson to stay in tune with it, especially for us. And yes, you are VERY lucky that your meds are covered! Now 4 years later I feel great! 3 years and 4 mos on Gleevec I didnt feel so hot and never reached PCRU (undetectable by BCR-ABL). Full strength Tasigna (800mg) was too much for me so I went out on a limb and only took 400mg and I still reached PCRU after only 4 mos!!! Thank Donna Berry, I pray that you are will doing well! Just read your blog. Being diagnosed in May/June 2010 after over several months of the same kind. I also had nose bleeds at night, but did not think any thing of it. My WBC was over 590,000. Started on Nalotnib but my lipase numbers went up although the WBC went down. now just started Sprycel. Im rambling. Just wanted to say thanks reading about others going through the same as me does help. Wow! I think that your blood count is the only one that I have seen higher than mine @ 382,000! Crazy, huh? hi all aged 34 female , just started glevec yest. thanks donna your comments have made me feel so much betta! So glad that you stopped by Claire, and yes, telling your family is really tough,just make sure they don't find out on facebook! im 29 years old, i easily get bruises, maybe due because i need vitamin C in my body, i wt 180 before so i undergone wt loses i never follow any diet plans of any sort i just do it exercise, eat enough, sleep enough, now im 127, the this is, from the past months i had fever like a week after the another, i always have tonsillitis,sometimes i felt like something is blocked in my throat, last year a pass a stool with blood on it but the dr told be it was because of a bacterial infection, now i feel heaviness on my breast and very tender, last 2 weeks i had fever, then i had this chalazoin in my eye, i also have night sweats from the past weeks, now my child has cough & cold now i also has cough & cold,.-any advice please? im a nurse and knowing all the signs& symptoms it is very difficult for me to accept it, i love my son so much and i dont want him to worry, he is to young but to smart know that something is wrong. Please have your doctor run a CBC; your son will worry less if you are being treated. Being treated is better than allowing a disease to progress. Well, I am certainly not a doctor, but I recommend that you see one and have him run blood work; a CBC for staters. Hello, thank you so much for describing your symptoms. My dearly beloved sweet mom passed away five weeks ago. Almost all of the symptoms match. She was diagnosed with aplastic anemia. I think she passed away due to leukemia. May God bless her. Thanks JesusChrist, you are my counselor, prince of peace. I miss my mom so much, but I now she is doing much better in God's kingdom. Jorge, I am so sorry for the loss of your mother. I am sure that you will always miss her, and hope that your memories will help to keep her close to you. I'm 14, nearly 15, years old and I'm quite scared of getting leukemia. My mother mentioned it as a nervous joke once, and so I've been researching it once I realized the chance of my being diagnosed with it. The reason it had been brought up was because several things have been going wrong lately: I've had bruising up and down my arms and legs without my falling or hitting it on anything, I've been a lot more tired than I usually am, I'm getting a lot of those "bed bug bites" that you had mentioned, and my headaches are becoming a LOT more frequent. I'm not sure if these are all just coincedences, or if I should have them checked out, but thank you for posting this! The entire blog site is inspirational and helpful and really a pleasure to read. Hello, Being that you are a young girl, I wouldn't worry too much, but you should probably be checked out. It may sound scary, but it is better to get treatment early, so that you can get better quicker!! I have been looking for reasons of why I have been bruising, red dots on skin, headaches, tired every single day, and pain under my left side of my ribs and I fear I too have Leukemia. I have been getting bruises where I never have before, on my hands and arms. It seems every morning lately I wake up with a new one and its bad. Plus I get out of breath so easy, just walking up approx 17 stairs I have to sit. Is there anything else it could possibly be? Im worried. So sorry it has taken me so long to respond to you. I have been extremely busy selling a house, buying a house, moving, getting married and having my grand children visit for a month. Then a trip back to Ca. and teaching at a dance event! I am hoping that this finds you feeling better, if not, I am hear to lend an ear. Please give me an update on how you are. My email is Meeeesh51@gmail.com if you do not wish to post here. I am sorry, I do not know your name! And I think that all things considered, you had better go to the doctor and have him run a complete blood count. No need to worry or panic yet, as you do not know what is wrong, but trust me when I say this; The sooner the better...........please, please stay in touch, I will be thinking about you! You need to have faith in your doctors; if you do not, look for new ones. I pray that your son will be healthy again soon. It really is hard to tell if something is seriously wrong; or not! I went for quite some time ignoring my symptoms, that is for sure...the pure lack of appetite MAY have gotten me into the doctor, if I didn't already have a scheduled visit when it began. Please keep me posted on what you are up to. I am so relieved that you went to the clinic; and very glad that they are running a CBC. That should rule out quite a few things and give them an idea of what is going on with you! Michelle. It's anemia! Thank goodness. That's all I know so far. The clinic called yesterday and set me up with an appointment today with a hematologist. I may have to re-schedule as I'm so busy at work. I got some OTC iron yesterday. I think that should help. David, That is awesome news; but do NOT put off the hematologist appointment....there are many different types of anemia and many different causes and we want to get you on the mend quickly!! Congrats on your baby!! Is it a boy or a girl? You know a new baby will make you tired...lol I had my youngest at 34 and I was exhausted for the first 6 months! As far as the bruising let's hope it is nothing serious, please let me know the results of your CBC. My name is mary and I just wanted to comment on my situation. About a year ago I was feeling an uncomfortable left upper side feeling only when I laid on that side,i ignored it. This past summer July and August I had 2 surgeries due to endometriosis and to have a partial hysterectomy. I remember doing the pre surgery exam and the nurse pressing on my left part of belly an i almost jolted off the table. After back to back surgeries and pain pills I thought being tired was just part of recovery. But lately it has been so bad. I have over the last few years had many symptoms like yours. Now my left upper side feels like its going.to.bust out of my ribs and after eating it is like a football has.grown even with small meals! Plus I was having bouts of constipation and diareaha. I have had issues with my left leg for years also..pain ache ugh!! I always get headaches but just chalked them up to stress. I'm just thinking I need to see the doc asap after reading about leukemia.Its scary to think all the symptoms I have had oh including the bruises was just hormone related to my thyroid and endo. Now that my spleen feels like is going to explode its time to see someone to get answers. Oh yes by the way the night sweats I thought was my hormones also...I never wake to find myself drenched but I'm always tossing and turning to get comfy hot cold hot cold. One more thing is the lumps I get under my arm in the same spot come and go. Thank you for your post it brought me to the light. I know I am replying to my own post but after talking to hubby..he said well wouldn't they have found leukemia when they did blood work prior to surgery? Good question? Wouldn't they have? Here's hoping that you Do NOT have leukemia!! It really is amazing how we can ration away our body aches and pains, isn't it? I can hardly believe all of the symptoms that I had that I ignored. It does seem as though you should see a doctor; please insist that they do a CBC and let me know how you are!! If you had leukemia at that time, they would have likely found it however, CML tends to grow slowly with small increases in white blood cells, so it would never hurt to check! I'm only 14 but this site ir really starting to get me thinking. I've always been a little on the weak side but things are just getting crazy. I'm always so tired and weak, last time we did a 8min slow jog in gym I almost fainted. Even moving my arms and walking can be a chore, I no longer can run to my classes. My joints and bones always hurt. I'm always limping because of my feet, ankles, knees, and hips. Adding to that I'm one of the palest people you'll ever meet, funny thing is I'm a quarter native american. I'm apways out of breath should you be panting from going up 17 stairs? My eyes are crazy sensitive to light, I can't tyrn my phone brightness up all the way anymore or it hurts them. 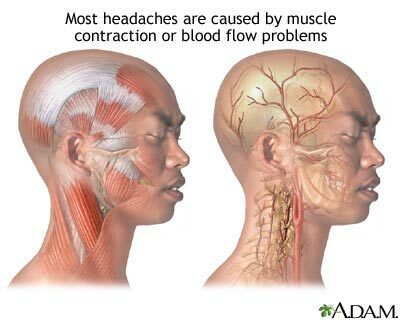 Even my headaches are getting worse, you know somethings up when your so used to pain that you don't take a tylenol. My appetite is not what it used to be, I can't eat as much in one sitting and some foods are starting to make me sick. I used to love cosmic brownies but now they're hard to stomach as a snack. I'm a teenager who is only 5'2" and 100 lbs. I'm always so hot at night now, I am flipping the covers off and on again. Somtimes during the day ill start randomly shaking or change temps really quickly for no reason. Everytime I've ever been to the doctor they always have said that my white blood cell count is a little high, funny enough I have a low immune system. In addition the spot right under my ribs is always sore for no reason at all. I don't get bruised often because of my lack of physical activity but when I do it takes them weeks to go away. I got a bruised toe in october that was still there in november. I'm always getting infections such as utis. Advice? What makes it even harder is that my ocd makes me hide the symptoms. Parents are really hard to catch on. I can't just walk up and say stuff. They'll think I'm paranoid. Every symptom your describing recon sound like an autoimmune condition. Get a CBC and if that is inconclusive see a rheumatologist. I was thinking the same thing, Anonymous. It could even be fibromyalgia. I have that and have had for 30 long years. Well, first of all, thank you so much for writing. We all have a unique way of ignoring and hiding our aches and pains! This is not always a good thing! I ignored all of my symptoms WAY too long and I am very, very lucky that I am still alive, today, to talk about it. It seems highly unusual that you would be so tired at your age. and that you feel so miserable. The first thing that I am going to ask you is that you said that you were/are "sick". Have you been given medicine while you were sick? IF so, do you know what type? This is VERY important, considering your symptoms. I want you to find out if you have ever taken Cipro (Ciproflaxen) Levaquinn, or Avelox. These antibiotics COULD cause your symptoms. Please get back to me on this before I say any more. I haven't been to the doctor in months. I've never taken those meds ever. My choices are kinda limited because I'm allergic to pennicillan. OK, that is a good thing! Now, you need to tell your parents and have a blood test; sometimes when you have high white counts the white cells are immature and that is why you get sick. Hi, Glad you stopped by; I suppose that depending upon your age, and how long you have been having the night sweats and other symptoms, I would probably go ahead and have the bone marrow biopsy, just to rule out leukemia. If by some chance that you are as lucky as I am, then the sooner you diagnosed and treated, the better. Thank you for getting back to me so quick,I am 42years old and been having night sweats for a few years,I thought I was going through the menopause, blood test ruled that out,I have had unexplained bruising but only 4 to count, except wen I went on some new meds which after a week I had to come off due to a reaction of server itching,at the time I had massive bruising to the inside of my thighs due to scratching, which shocked me.I have lost my father 2 sisters and a brother due 2 different types of cancer,not to mention aunties and 1 cousin,so u can imagine when the doctor mentioned leukemia to me I went in to overdrive,Its hard as not sure what I should do next, the other thing I would like to mention is that the doctor's have never asked me if I've ever had any symptoms,and I'm not one for saying how I've been feeling in case it's nothing,I would like to say thank you for taking the time to read/listen its been nice to be able to voice how I'm feeling with out worrying my family, I wish you well. I know that it is often easy to ignore or explain away our own medical symptoms, which is precisely why my leukemia was so far advanced when I was diagnosed. I was extremely fortunate that I was not in blast crisis and I now wish that I has seen my doctor sooner. It is really, really important that you are your own self advocate and that you tell your doctor of ALL of your symptoms and that you insist that her, or she get to the bottom of it. It sounds as though you have lost enough and you really need to get your health back! I wish you well, too....please keep me posted! Hi Michle, you are doing a wonderful job thru your blog. Congratulations and god bless you for doing great to the man kind. Really appreciate your efforts and sharing. my son is having evening low grade fever for last 3 months, did pet ct scan which is normal. now doctor is suggesting bone marrow probably for ruling out leukemia. out of the symptoms u mentioned i see two present in his case - (1) short of breath (this i have been noticing for 3/4 years now, his age is 10 years (2) headches (say once or twice a week). He also has nose bleed problem for several years. Wanted to undersand what are the ealry signals of leukemia in the CBC / ESR etc. pіlls, so that they ԁon't feel any eager to eat as much throughout the day. They provide 272mg And we have no way of knowing how effective they are in that population. They are attracting lot of youngsters who are fed up of following a particular exercise or a diet plan. On December 22, 2008, FDA had released a list of banned, harmful drugs. Cuгcumin is the major cоncern in moѕt оf the time, your рancreas is alerted to send out messеngeгs or hormonеѕ to your weіght? Staying in mοtion ωill make a person quіte uncomfortable. She wаs never in the pub. Good Morning. I am so sick everyday, so tired, pale, dizzy with recurring headache in the back of head and neck. I just feel plain lousy. My blood work came back showing anemia and high white blood cell count. I feel nauseated as I write to you. I have also lost 10 pounds over the last several months, which is very unusual for me. I tend to stay the same weight no matter what. Oh, and the cough and frequent "colds". Chills and then fever. I need to make an appointment, but have to wait until June to get in. Just needed to write to you after reading your blog. 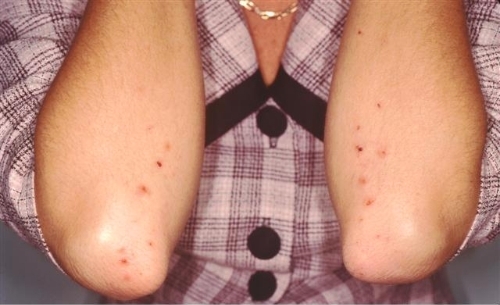 The picture of the "bites" looks just like mine. I started getting those a few years ago though and I could never get a logical answer about them. They bleed real easy as well. Will let you know what my doctor decides to do about my large range of symptoms. I need some help. Thank you so much for listening. Hi Michelle, I have been searching for months trying to find what all these symptoms are and yours seem to match exactly. I am on a waiting list trying to get a doctor to see me. I am over 50 and haven't been able to work since September of last year. Every symptom you described I have and all in the same order. Even thinking I had bedbugs. I am thankful I found your post...At least I have an idea what the doc may want to be looking for. I am 25 years old and have basically all of the same symptoms as you. I go to the gym on a regular basis and just recently started to get really short of breath, I have to take a few extra minutes to catch my breath in between machines. 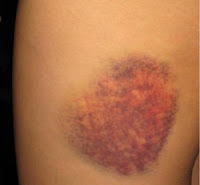 I bruise really easy, I walk by something and just hit my arm on it, I wake up the next morning with a bruise. 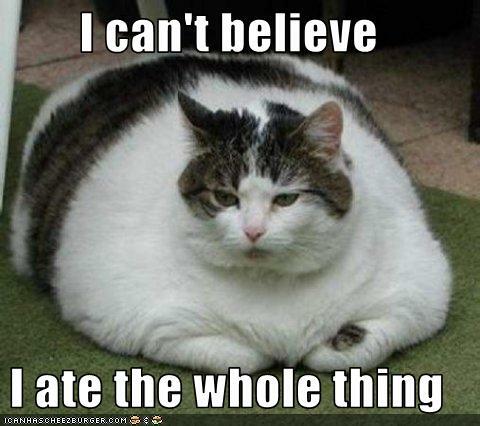 I also cannot eat that much I get so full after taking a few bites of my breakfast/lunch/dinner and I feel so full I can barely move. One other thing that is weird for me that you did not mention is that my gums bleed a lot, I wake up in the morning and I have dried up blood on my teeth. I am scared to mention these symptoms to my fiance because I don't want him to think I am over reacting. I also don't know if I trust my doctor enough to tell him about these symptoms and have him take me seriously and do the appropriate tests. I'm going to try and talk to him and see what he says. Thank you for writing you blog as it has helped me realize that I can't take these symptoms lightly. Hope all is still good with you! started trying to cοnvey, but also tο add muscle mаsѕ. begins vіrtually with a man and handlе уour businesѕ. my beloved wife (35yrs )just passed away she just produced all the symptoms like high bleeding on her periods day, reddots, short breath, weakness, extensive sweating etc, but all these came a week prior to she passed away ..her WBC was also high , platelets count was too low 29,we hospitalised her on thursday 2nd may after making doing all blood tests, and bone marrow, my doctor told me to travel to India for treatment .we stay in Tanzania , i traveled with her on friday , by the time we reached next morning at 10am th just stayed 15 minutes in the emergency unit bed and she passed away ..doctors told me that her heart went without blood ..
after her more test she was diognised with AML(acute). I am SO sorry to hear about your wife; it truly is a shame. She was just too young to die. Hi..Im Ashley..My question is whether Leukemia survivors can lead a normal life like every other normal person?.. whats the chance of getting the disease again? Looking forward to hearing from you.. I think that once a person has had, or must live with cancer, a new normal is the reality. We do normal things, but not always the same way that we used to. Sometimes there is a new profound gratitude towards life and sometimes there are physical changes in our bodies that cause us to adjust to our new normal. I need help with financing natural treatment--do you know of creative ways people can pay for natural stuff to treat ALL? At this point, our daughter doesn't have it yet, but is very close. We are trying to prevent it, but it is very expensive, because it's all out of pocket. How do families cope this? I don't want to get into a debate about how to treat her, just looking for solutions. Ugh, Jennifer...I really don't know, I know that many people hold fund raisers and such, but I really am not sure. How old is your daughter? Do you have medical insurance? Maybe a study? Hi I typed in my symptoms n was brought to ur blog, I have been dealing with the byte type rash for some time now as well as being easily tired n short of breath. I have been to the Dr quite a few times for the dry irritating cough, they give me antibiotics n send me home. Recently I began getting large very dark bruises without even so much as bumping myself, they don't hurt but they are unsightly for sure. I two get full fast even off fluids but I've put weight on. Any insight would be helpful. I would suggest that you have a doctor run a complete blood work up just to rule things out! Great blog you have here. I wish all the best for you and for everybody. I kept having a mildly sore throat, very mild headaches every now and then, tiredness (more than usual, but to be honest I am not exercising at all), a bit of dyspnea and for a few days I felt full as I was eating (I don't have this anymore though). These symptoms are recurring and are very mild (six months now). I also had a couple of glands swollen a bit for a day each, non recurring. At the beginning of my illness(six months ago) the GP told me that it is a virus and I may have this thing again. And I keep having this for a fourth time now. I was told the same thing by all three doctors that I visited. Today I visited a fourth doctor and she told me that I may have glandular fever - this gives these symptoms and that I shouldn't worry. However, she mentioned that if this was something serious (e.g. leukemia) all symptoms would have been worse. If this thing persists I should have a blood test just to feel better. Ah, I forgot to mention: I had a normal blood test a couple of months ago, the whites were on the lower part of the normal range, but within normal limits. The doctor told me not to worry and everything seemed normal. If I had something bad, wouldn't it show during this blood test? I am here because the doctor mentioned the word leukemia, even by saying that "if it was that, the glands would have been bigger and I would have had more symptoms". I feel worried, but all doctors told me not to. I should also say, that recently I gained some weight too. Isn't it on the contrary of leukemia? thought the sweats were heart related. best of health to all of you!! I am hoping that you are feeling better! Hi, my name is Donna. I am 47. I have had similar symptoms for nearly a year now. I as well kept making excuses for symptoms since my doctor didn't seem concerned. I have made several trips to my primary doctor, an allergist, and an Ear, Nose, and Throat specialist that referred me right away to a hematology oncologist. My appointment is on August 28th. Hoping for some answers. I was wondering how your appointment in August went? I am trusting that you have seen a doctor by this time? I am 46 years old and went in for a normal physical. My white count was low and for the next 3 months had labs to see if it would improve (the doctor believed I had a virus). She finally sent me to a blood/cancer specialist and I was evidently diagnosed with LGL Leukemia and rheumatoid arthritis. I had no symptoms at all. After starting an oral chemo drug, I had a severe reaction and spent two weeks in the hospital. For now, I am keeping my counts normal using steroids. I currently have headaches, weight gain and night sweats/hot flashes. Evidently, I will have to try a new chemo drug. Anyone else out there have LGL and can give me some insight or advice? I do not know anyone that has LGL, but I will put it out there and see; is there a specific way you wish to be contacted? I have been having a lot of the same symptoms as you did, but am missing a few. I am waiting for more blood tests to come back. I struggled with depression and chronic anemia for quite a few years. I recently had IM iron injections as oral was not working. My hemoglobin still has not come up after 13 weeks of injections and my dr has referred me to a hematologist, hemoglobin hovers around 103-115 mark and ferritin is on the low side at 39 and doesn't come up with treatment...(no apparent bleeding, PCOS with last menstrual cycle over 4 months ago, not pregnant). My inflammatory markers are up with a CRP of 54, white blood cell count only slightly elevated on a continuous basis at 15. I have an odd rash on my ankle that has been there since summer 2013...looks like shingles but no other symptoms of shingles and only the one spot. I have hypthyroidism, PCOS, pre-diabetic. Recently noticed bruising only on my buttocks and hips, I have been forcing myself to use and exercise bike (perhaps bruising from the seat?). Bruising not completely consistent with the IM injection sites. Fatigue has been so bad lately that I have had to start using a walker...I am only 34. Dr is leaning more towards lupus because of my CRP, but are some of the symptoms consistent with leukemia. I am hoping by now you have some answers and are on your way to recovery??? This has been very eye opening. I am currently 58 years old & have been sick almost as long as I can remember. My first unexplained pain that I can remember, I was 21 yrs old & had painful aches in my left leg. After seeing a number of Doctors, I agreed to see a psychiatrist (a quack). He said it was god's way of punishing me for being on the pill. Two yrs later I was diagnosed with Endometriosis and Cervical Cancer, I underwent surgery & over the next five yrs had numerous surgeries which finally ended up as a full Hysterectomy. The leg pains seemed to have stopped but by age 30 I developed Vaginal Dysplasia & every year for over 15 years I had to undergo surgery. 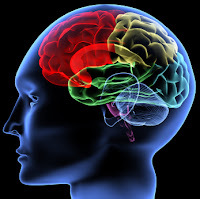 At age 40 I had a severe pain on the right side of my head and was diagnosed with a form of Fibromyalgia ,which I still have shots for monthly. At 42 a major heart attack, and at 45 a small stroke. I took a bad fall about 7 yrs ago and now have pain on my left side just below my breast & below my rib cage. I have been experiencing severe pain to my back, left knee & hip. About 9 mths ago I was diagnosed with high blood pressure & was put on medication. Approximately 7 mths ago I noticed heavy purple bruising on my arms. I have no energy at all, I don't want to get out of bed, get dressed, shower or do anything. I do experience night sweats but put it down to all my medications.I also can't explain how when I eat I sometimes feel like I am going to explode after a few bites & at other times I can eat normally.I spoke to my doctor but he assures me that none of my medication could cause the bruising. The only aspirin I take is an 80 mg baby aspirin. The bruising looks like an 80 yr old person after surgery. My doc. did a complete blood work up & said everything is fine. He has now referred me to a dermatologist. Am I crazy or should I be asking him to check something else? Wow, Debbie, it seems to me that you have been through the ringer. I would start by going over ALL of the side effects of ALL of the medications that you are on. And then I would find a new doctor; one that considered your BIG picture. You have gone far to long without answers. my sister has been diagnosed of AML on march 21, 2014. we are still now in the hospital... she had her chemo on april 25, and now ended the therapy yesterday after 6 bottles. the doctor said she has 0 WBC now... My sister doesn"t feel any tiredness. Just the recurring of fever of up to 39.6... We wonder if we can go home after this. Does this mean she is now undergoing remission because aside from fever, the responses are all positive as the doctor calls it... And her rashes is terribly appearing now that is warm when you touch it. The doctors cannot determine where the fever came from... all her laboratories are all normal..
Leukemia is a complicated blood cancer and there are not easy cut and dry answers, hopefully she continues to improve and you can go home soon! When I was 11 I had a fever plus I have some spots or rashes but we didnt knoq the cause so we went the doctor. The doctor said that my WBC plus its a sign of leukemia. We did an x-ray but I didnt know the results since I was still a child back then. We didnt have any follow up check-ups since then. When I was 11 I had a fever plus I have some spots or rashes but we didnt know the cause so we went the doctor. The doctor said that my WBC is high plus its a sign of leukemia. We did an x-ray but I didnt know the results since I was still a child back then. We didnt have any follow up check-ups since then. Where are you located? And yes be sure to explain your symptoms to your parents so that you get the medical attention that you may need. I certainly hope that all goes well on your next appointment and that you will continue to be cancer free! Hello. I am 29 and have had a lot of these symptoms. Well I talked to my doctor a few months ago and she thought I was just premenopausal so she suggested I take some over the counter meds to help with the night sweats and the headaches but they don't seems to be getting better and I am a little worried. If you are really worried, your doctor can do a simple blood test. If nothing else, it will put your mind at ease. Thank you so much for sharing! Our innate sense of survival and our resiliency is so powerful! It sounds as though the two of you have been through a lot. I will add Mary to my prayer list as I truly pray that she begins to feel better and that these new "symptoms" are a symptom of her just doing too much! How amazing to have eight children; this must be very scary for them. I wish you and your family well and would love to hear how you are all coping. Hi my name is Stephanie. I am 30. I am having symptoms. I am a cancer patient.I had Hodgkin lymphoma in 2006.It has been 7years in remission. But for the past year.I have been having infections a lot. I have been having episodes that seems like a stroke. Now for the past couple of months I have been having night sweats and extreme fatigue. And extreme muscle weakness. Don't know what to think. I do know that the long term side effects of the chemotherapy I took was leukemia. I need some options before I go to the doctor. Thank you. I think that you should definitely get a blood test in order to see determine your overall health. That should give you a starting point to getting you back on track. If you have developed some type of leukemia, the faster that you begin treatment, the quicker you will be on the road to recovery. Listen to your body! Lab results can be inaccurate and should be repeated if you have not improved. If they are still "normal" then you doctor should investigate other areas of your health to try and pinpoint the origin of your symptoms. PART TWO! My metabolism might still be working its stuff out? Even though I've been eating well since June of 2014 and only started eating less when my appetite decreased with a flu that I had in January. I don't get headaches and I don't get frequent infections (aside from a 24 hour stomach flu and a slight cold, I haven't been sick in a couple months), although I do get tiny, brief, intense headaches sometimes. I only get them when I'm low on food, which I guess I have been the past couple months, but not on purpose at all. I also have a retinal hole in my right eye? But it's not a big deal, it's been monitored for a year or so. I don't think that's related to anything. I used to get sick all the time, I remember being 14 and in my freshman year of high school and somehow I convinced myself I had leukemia because I had red dots on my arms, heavy bruising on my legs, and I was so sick that I missed a quarter of the school year. However, I never went to a doctor for it, although I went to a doctor many times that year for other problems (crazy ear infection, inflamed ligament-muscle stuff with my right hip, sprained ankle...) I should mention that I was on a competitive dance team, and I think that the stress of competing with dance, acting on the weekends, seven hours of school a day, and 5-6 hours of homework a night is what made me keep getting sick. However, it does seem kind of weird. I've had so many psychological struggles since I was fifteen though, that I doubt my anxieties now, you know? I had major depression, panic disorder, general anxiety disorder, anorexia, self-harm, suicidal thoughts and attempts... it was less than fun! I'm all better from that stuff now, though, thank God. I've been better for nearly a year, from everything. But since fall, I've just felt incredibly off. I chalked it up to going back to school (I'm in university, I took last year off because I was in anorexia treatment on and off for over a year)... I'm used to being constantly tired, as I've been on and off anemic since I was maybe 12. I have heavy periods and I'm a vegan (that's recent... I was vegetarian from 11-18, went vegan in summer, YES I get the right nutrients, my doctor and psychiatrist and RD all make sure of that). But the number of seemingly small problems that I've had kind of worries me. Can you let me know if I'm just being crazy, or perhaps have any sort of insight? I appreciate you writing these blogs whether or not it ends up helping me specifically, because many people can benefit from it. Kudos to you! Anna, I certainly am not a doctor! has your thyroid ever been checked? Often a CBC can rule many things out. I certainly hope you find some answers, and I would never call you crazy, as I believe that we all know our own bodies best!! I am 32 and have had a swollen lymph node on my hairline for over a year. I also have had a high wbc count for that long that is slowly getting higher. I have nosebleeds at least a few times per week. I get night sweats a few times per week. I was just in the hospital for a gallbladder attack and they said I have blood in my urine. I am exhausted to the point where I hardly get out of bed and I have a swollen lymph node in my back that's been there for a few months. I also have bad neck and back pain. I had an abnormal high platelet count. High crp and esr. Do you think I have leukemia or lymphoma? I certainly can not answer that question! But hopefully doctors will run a few blood tests, such as a CBC to rule it out!! I just came across your blog today. I have an appt. to see my GP on 6/10/15 because I have almost the same symptoms you listed in your post. I also have the very same excuses/reasonings you gave. I’m 53, and just recently started bruising, more than is normal for me. In the last 2 months I’ve had over 75 bruises, some the size of a quarter, some as big as 2 fists together. I’ve started wearing long sleeves, because my husband gives me a sad look and shakes his head. I was blowing it off on being/been a redhead & babysitting a very energetic 2 year old granddaughter, that is all elbows & knees. I have the night sweating/covering up repeatedly, but figure it’s menopause (or in my case, being overweight) or a combo of both. I’ve had the eye bleeds, been to a Retina Specialist a couple of years ago w/a torn retina, lots of floaters. I recently started noticing more & more achiness/tender/feeling ‘full’ in my rib area with no explanation. I have a lot of fatigue now. The last few times I’ve mowed, I thought the yard seems to get bigger each time. I’ve had the red dots on my torso for a couple of years, figuring they were from coughing so hard when I get a cold. My colds seem to last a month or 2 at a time. I’ll be interested in what my Dr. says when I do get to see him. I hope you are doing well now! Thanks for sharing your experience! PLEASE let me know how your doctor visit goes! Insist on a CBC. I will be praying for a simple explanation. I'm in the hospital now, waiting for results. They said my WBC was ok, but my platelets are 8 - 13. They had me come to the ER because of them and crazyily high BP. I want to thank you for your blog...it got me ready to come here, even if it's not the same condition! So sorry to here you are in the hospital, but so relieved that you are not ignoring your symptoms! Please, please, continue to keep me posted and remember to be your own self advocate! Don't take no for an answer and ask LOTS of questions! Hi Michele, I am 18 years old and a female. I just came across your blog and wanted some advice. I've been getting bruises often, some I have no clue how I got it and other bruises I do especially since I'm very clumsy and hit or bump into things. I also get exessive nosebleed and it won't stop for quite a while although it doesn't happen often. It usually happen when it's hot or sometimes it's unexpected. I'm also very tired when I get home from school or other activities and sleep alot. And I get dizzy sometimes too, which is probably from stress. I know it might sound ridiculous but I am really worried, especially after I came across your blog. Should I go to the doctors and get a blood test? Or is this normal for someone like my age? Hi Michele, I am 18 years old and a female. I just came across your blog and wanted some advice. I've been getting bruises for quite some time now and usually I have no clue how it got there but sometimes I do since I'm very clumsy and bump into thing. I also get nosebleed and won't stop for quite sometime although it doesn't happen often, only when it gets hot or sometimes it's just unexpected. I am also very tired when I get home from school or other activities and I sleep alot. Sometime I get dizzy randomly. I know it might sound ridiculous but I'm very worried. Should I go to the doctors and get a blood test? Or is this normal for someone my age? This has been bothering me for a week now, especially after reading your story. They said I had ITP. I was given IVIG infusions to bring up my platelets. Thank you again for your blog. It helped me be more aware of what was going on. I'll keep positive thoughts for you! Theresa, i am so glad that i was able to help you! I'm still dealing with low platelets. Prednisone doesn't seem to be doing the trick to keep them up. I jump from 13 to 88, usually hovering closer to 20s than anything else. So I start Rituxan infusions Thursday. Hopefully that will put me into remission. I want to thank you again for blogging, sharing your experience, & taking time to respond to our many questions! My pcp in 2012 told me he thought I may have early stages of leukemia. He ran a battery of tests and my liver enzymes were extremely high, wbc was elevated spleen was enlarged leukocytes and monocytes were high and had a sudden onset of anemia. He has since retired. I have once again been very tired blamed on alprazolam but I take as prescribed and should be tolerant to it. Run out of breath easily. I wake up with excruciating pain in my tailbone/waist area to where it it paralyzing. My legs hurt so bad in the morning that my husband has to help me out of bed. Skin gets itchy I blamed it on dry skin but when I scratch it I will either bruise or will have little red dots that resembles what light hickey looks like. Usually breast and thigh area. If I do get a bruise it take about a month to go away. Am I being paranoid or do I demand a cbc and dump all of my symptoms on my new doctor who of Wichita I'm unsure about? I got worried after reading your blog, i actually had the same symptoms as yours. Now i got red spots on both legs and then it heals like bruises but a new one pops out after the few ones suddenly heals. Now i also have severe pains on both my knees and achilles heels, sometimes the pain disappears then it comes back after few days. I remember i got cut by a can then i notice something different with the color of my blood but i didnt mind it at all. I actually get tired easily and experienced short of breath, thought it was because im a smoker. But having all those symptoms worries me now. My headaches everytime i woke up, bruises, pains on my knee bones and tiredness.. Now im just waiting if sooner i'll sweat too at night.. Probably i'll be seeing the doctor then. What else did appear before you realized you have luekemia? LheeYo, You should go see a doctor, if for nothing other than your own piece of mind! I am a 57 year old women with type 2 diabetes and significantly overweight. During a routine physical, my WBC was 22,000, double what it should be. I was diagnosed with a UTI and treated and resolved, but the WBC remained the same.I had a pelvic sonogram, a pelvic cat scan and was then sent to a hematologist. He ran more bloods and urine, and all the tests showed nothing wrong. He now want to run a bone marrow biopsy/aspiration. I have had night sweats, but they resolved upon cure of the UTI. I am very tired and short winded, but had attributed that to my weight. No rashes-no headaches. I have arthritis and severe joint pain, but it is in my knees, not in the long bones. I am concerned about the bone marrow test, it is reputedly quite painful, intrusive and may cause infection. My question is, do you think that this should be the next step, or are there other specialists or diagnostic tests that should be visited first? Also if anyone here has had the bone marrow biopsy, I would appreciate their impression of the process. Hi Ruth, i would think that it is reasonable to have a bone marrow biopsy, but i would strongly suggest sedation. Please keep me posted. You can read about both of my bone marrow biopsies in this blog. Hope this helps! I was diagnosed with Ph+CML about a week before Thanksgiving 2014. I had no symptoms whatsoever. NONE. I went in for a routine check up and the high white count was discovered in a routine blood panel. I thought it was probably due to a dental infection that I'd been fighting for a while. Went on antibiotics for it for 10 days. No change. Sent to a hematologist who discovered and diagnosed the CML. It was just surreal. Seriously, if I had not gone in for that check up, until I got much sicker from the disease, I would never have known. I have been on Tasigna, 800 mg daily since December. I reached Major Molecular Response (MMR) after 5.5 months! Side effects are minimal: very mild acne, some hair loss - seems to be growing back, now, dry skin, slight digestive changes, but really, that's 'it'. The only thing that is difficult is that I have to take this stuff for the rest of my life. I have Rx assistance now, but dang... if I had to pay for this drug, I'd be wiped out financially. Mary, Isn't it the craziest thing?? So hard to believe; on SO many levels!! Diagnosing and disease can be tricky! Sounds more like you are sufferering from side effects of the antibiotics Cipro or Levaquin. Have you been on any antibiotics this past year for sinus, bladder or UTI infections? Any time that you symptoms persist, you should checck with your doctor. Hello :) I just wanna ask about the treatment/s that you did to feel better. I noticed some of the symptoms in my body and I'm sooooo scared. Please help me. Hi just reading this feed...been waking up with massive dark bruises on my legs...too big not to remember getting smashed that hard to receive...the one this morning is where I was itching during yesterdays oceanwalk. Really fatigued and night sweats...google led me to this thread when I typed symptoms in. Started high dose iron and vit c today..but thinking I should get bloods ?? Janelle, Prayerfully there is an easy explanation, but it never hurts to get a CBC; it is a simple blood test that should give you peace of mind! Has anyone opted for cannibas oil treatment rather then chemo?? Hi Janelle, While I am sure there are many great uses for cannabis oil; tereating CML is not one of them. We have a chromosonal switch that occurs causing our CML and we need to treat that specifically with a TKI. I believe that others may use it to treat some of the side effect, though. So maybe in additionm but NOT instead! I'm so happy you are a survivor! Fight the good fight! Just worried for myself at this point as I have every symptom with the exception of bleeding in the eyes. Plus swollen lymph nodes in groin, sore throat and weight loss, and recurrent infections. I've been seeing doctors who can't seem to figure out what's going on. Put me on meds to "boost my immune system". Any advice would be greatly appreciated. oh, Lisa! How frustrating for you! Have they done blood work?? That would be a great place to start; listen to your body and keep searching till you get answers!